We’d love your help. 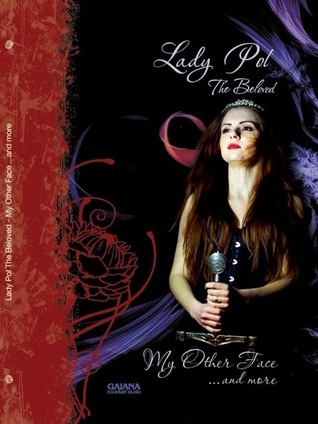 Let us know what’s wrong with this preview of My Other Face ... and more by Lady Pol The Beloved. Do not seek redemption from the gods. Do not look for understanding in human eyes. Which road is your chosen one? Will you fight the darkness and the demons? Or you will accept and embrace them? Will you humble before your fate? Or you will change it? We are comin Do not seek redemption from the gods. To ask other readers questions about My Other Face ... and more, please sign up. Mermaids. Death metal. Otherworldly viewing seamstress. Broken celestial promises and hideous transformations. All of this is waiting in Lady Pol's My Other Face, a collection of captivating fantasy short stories showcasing Pol's vivid imagination. Readers also get some of her original poetry. So don't just sit there reading a review...get to it! Reading these stories in English is like seeing a glimpse into a history that might have been. The use of language is outstanding, words that are not used these days, ideas that could have come from a very different time. I enjoyed the book greatly, and it left impressions and thoughts with me which still linger. More stories from Lady Pol! I loved the other book too, this one shows that she progressed in her writing and storytelling.